When you're at work, you want a pair of boots that will actually work for you, and these Danner Men's Black Moc Toe 15568 Bull Run Soft Toe Work Boots are the perfect pair. They're comfortable, hardy, and well-designed. Plus, they can keep you safe from accidental ... (see full details) (see specifications) #15568. When you're at work, you want a pair of boots that will actually work for you, and these Danner Men's Black Moc Toe 15568 Bull Run Soft Toe Work Boots are the perfect pair. They're comfortable, hardy, and well-designed. Plus, they can keep you safe from accidental falls and electrocution, too. As a working person, you need men's boots that offer quality craftsmanship, and these Danner black boots can. They feature an upper six inches tall that’s built from full-grain leather. As a material, leather is hardy and doesn’t wear easily. The upper is specifically crafted to last long, and it requires less maintenance over time. Also, the leather upper is quite resistant to water. When it comes to outsoles, you won’t find a better match for a strong leather upper than a Danner wedge outsole. It's durable without being heavy, and it won’t track debris. Plus, the outsole is supportive. The moc toe Bull Run boots are 51 ounces per pair, so you know they’re heavy-duty. They're recraftable if the need should arise. This extends the life of the footwear. Aside from being well-designed, these men's soft toe boots are capable of keeping you safe. The Danner wedge outsole previously described is both slip- and oil-resistant. You won’t have to avoid slick surfaces or worry about slipping and falling while wearing them. In addition to slip and oil resistance, the outsole can prevent electrical shock from causing you harm. The slip-resistant boots are rated ASTM F2892-11 EH, which means they are rated for electrical hazards. Finally, these men's EH boots can offer comfort to hardworking feet because they're designed with a specially-crafted footbed. The Danner footwear features an Ortholite footbed that offers cushioned support. The Ortholite footbed is made of open-cell polyurethane that distributes your weight evenly and offers circulation as well as heat dissipation. The three-layered footbed is also removable. In addition to the footbed, a steel shank is included and reduces foot exhaustion and soreness by absorbing shock from ground strike impact. This pair also features a stitchdown construction, which creates a wider platform for your feet to stand on and increases stability underfoot. And the black EH boots are also unlined, so you won’t ever suffer from overheated feet and unwelcome sweating. 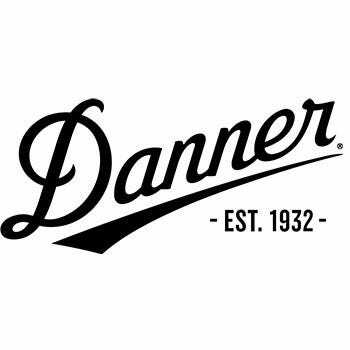 For long-lasting comfort, durability, and protection, get these Danner Men's Black Moc Toe 15568 Bull Run Soft Toe EH Work Boots here at Working Person’s Store today. These are a pair of very well made boots. The quality is great and has been very durable for me so far. They're extremely comfortable noticeably more than some of my more expensive boots that I've owned. The fit is spot on and the boot itself pretty light while not losing out on any quality. Overall I'd highly recommend these. Danner Boots: Men's Black Moc Toe 15568 Bull Run Soft Toe Work Boots is being added to your cart.